The sales brochure was designed as a tri-fold pocket brochure. The outside of the folder was a large graphic of the property that opened to key information with architectural renderings and maps. The last fold out contained a pocket that used a blue flood of color to highlight the brand and draw attention to the cover letter from the sales person. 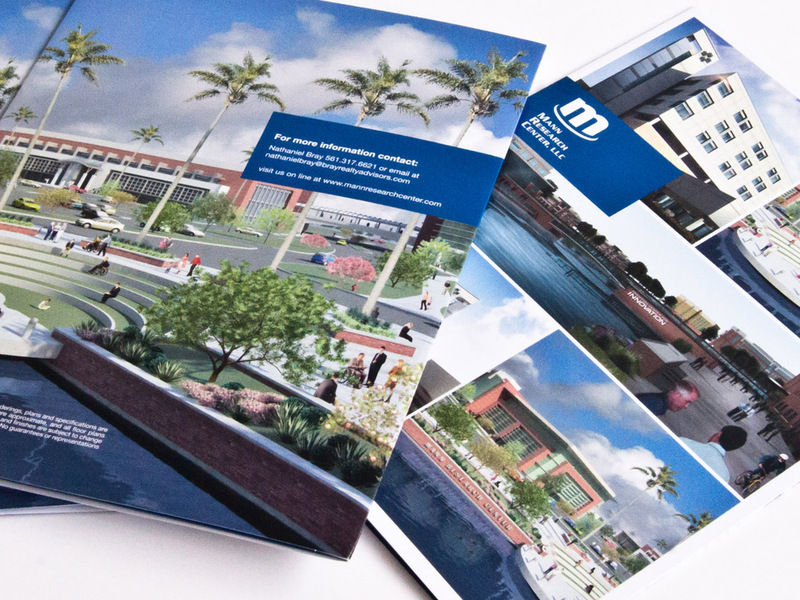 The brochure was a large 9×12 size and was printed on a heavy silk laminate card stock. This allowed for a great presentation with a powerful look and feel.